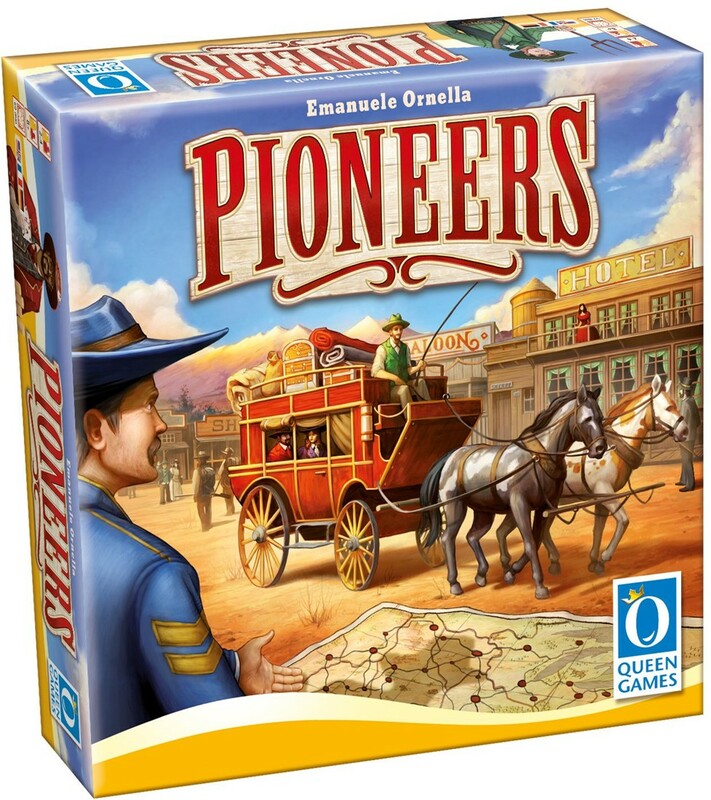 Pioneers, bordspel Queen Games In a game of Pioneers, the players attempt to populate the cities shown on the game board with their pioneers, using coaches to transport them around the map. Each pioneer has a specific profession, and can only be settled in a city where their work is needed. After all the pioneers riding in a coach have been deployed on the game board, the player controlling the coach earns money and victory points. In addition, the players construct roads between the cities, expanding their own network and earning money from other players who use the roads. At the end of the game, each player will be rewarded with additional victory points based on the number of their pioneers in their largest network of connected roads. The player with the most victory points wins! 2-4 players. Age 8 and up.